That time of the week when I share some virtual Log Cabin quilt designs. These all use just the basic Log Cabin block with light one side and dark the other side, or with all dark or all light fabrics. I have to admit that I love Barnraising, one of the traditional settings of all half and half blocks, but there are many, many ways of twisting and turning the blocks to make different designs … by adding all light and all dark blocks to those designs you could make Log Cabin blocks all day, every day, of your life and never use the exact same layout twice … except by mistake! 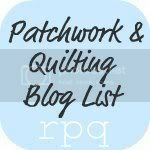 I would like to thin that sometimes some of the quilt makers who visit this blog will make a few twists and turns when putting the blocks together to make a design nobody has ever made before. … but I know I am going to go back to Electric Quilt 8 to make at least one change to the design for sometime in the future. That’s all for this week, but there will be more Log Cabin quilts mid week, next week. This entry was posted in Log Cabin Quilter's Mid Week Retreat, Log Heap, Mid Week Retreat, Quilt and tagged Electric Quilt, Log Cabin Mid Week Retreat, Log Cabin Quilts, Mid Week Log Cabin Retreat, Pieced Quilt. Bookmark the permalink. Even your so called basic Log Cabin designs can be interesting! Mistakes can often create new block designs. Thank you. Don’t tell anyone but some of my favourite designs happen by mistake!